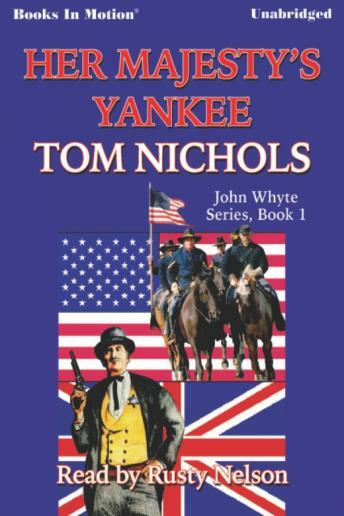 This is the prequel to PINKERTON\'S GOLD, and is the first book in the series featuring the American West adventures of John Whyte, an ex-officer from the British Army. John arrives in America just in time for the Civil War and joins the Union side working directly for Abe Lincoln. His first assignment is with Alan Pinkerton who is trying to breakup a Confederate spy ring in the north. Lincoln is so impressed with John that he sends him out to work with General Grant and report to Lincoln whether the bad press Grant has been getting as a drunk and a butcher is justified.